They say the grass isn&apos;t always greener on the other side. Well, that&apos;s mostly true, except for when it&apos;s on the other side of Michigan winters, then, it&apos;s way greener. 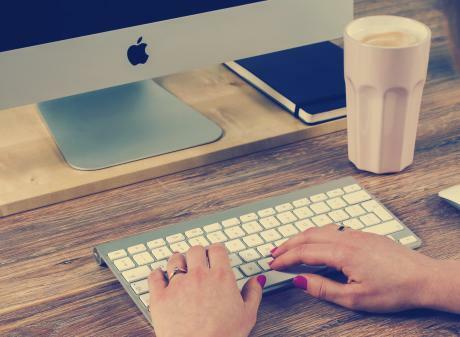 Perhaps even more exciting than the revitalized state of the outdoors (well, certainly more important in our book) is the abundance of fun things to do that are available during the summer months. 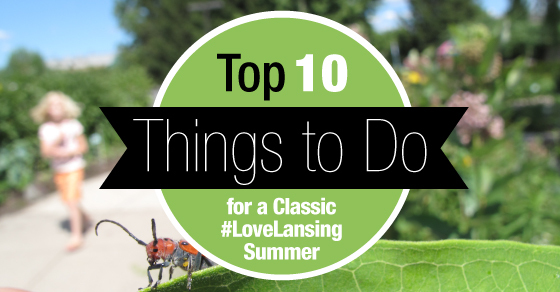 To help you get started on your summer plans, we&apos;ve compiled a list of ten things that everyone should do to have a classic #LoveLansing summer. Easily considered one of the hottest summer festivals and events in Michigan, Common Ground Music Festival is known for bringing national headlining artists along with regional favorites to the area. Common Ground will take place from July 6-9 this year and will feature artists like Toby Keith, Big Sean and Shinedown. Can&apos;t attend Common Ground? Don&apos;t fret. 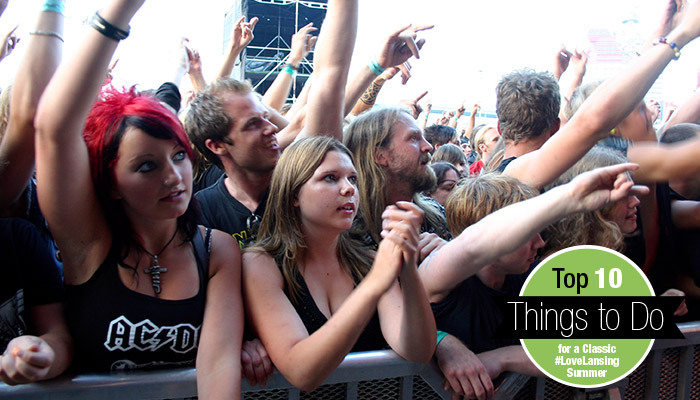 There are almost 30 other festivals you can choose to attend this summer. View the complete list of festivals here. Whether you choose to walk it, bike it, or paddle down it, we just suggest you get on it! The Lansing River Trail, one of the most fun things to do in Michigan, is over 13 scenic miles long and winds through attractions like the Brenke Fish Ladder and Potter Park Zoo. 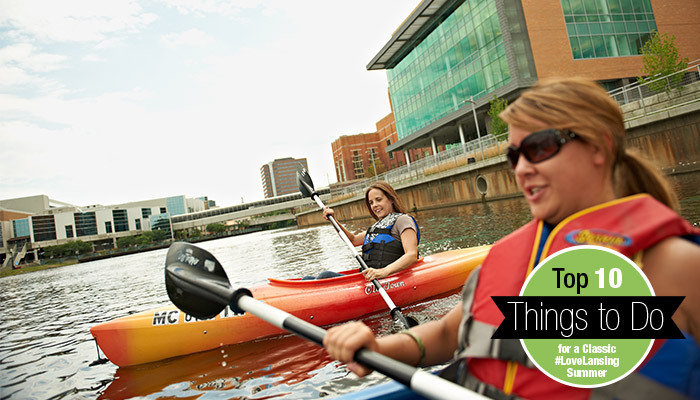 Kayaks, canoes, and paddleboards can be rented at River Town Adventures located at the Lansing City Market. Summer is prime time for vendors from throughout the state to sell their fresh veggies, homemade soaps, cut flowers, and other artisan goods. With over 22 farmers markets in the Greater Lansing area, you are sure to find one located near you. View the entire list here. Looking to beat the summer heat with some fun things to do in Michigan? Spend a day splashing around at the East Lansing Family Aquatic Center. This 3,000 square ft. splash pad is perfect for kids of all ages to enjoy because of its various structures, including a 200 ft. water slide, zero-depth leisure pool, and more. Just because school isn&apos;t in session doesn&apos;t mean the learning should stop! 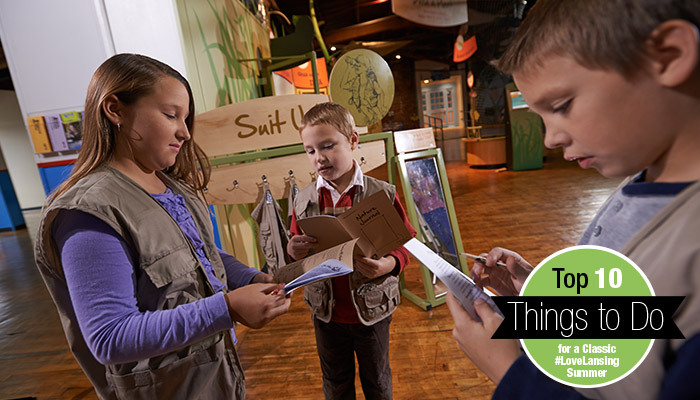 Summer is the perfect time to take the family on a day trip to Impression 5 Science Center, where learning disguises itself in the form of interactive fun. If you need an excuse to eat ice cream, you&apos;re in luck because we have not only one but two. First is the summer heat, and second is the MSU Dairy Store. The MSU Dairy Store makes all of its ice cream onsite, and it is some of the best you&apos;ll ever taste. 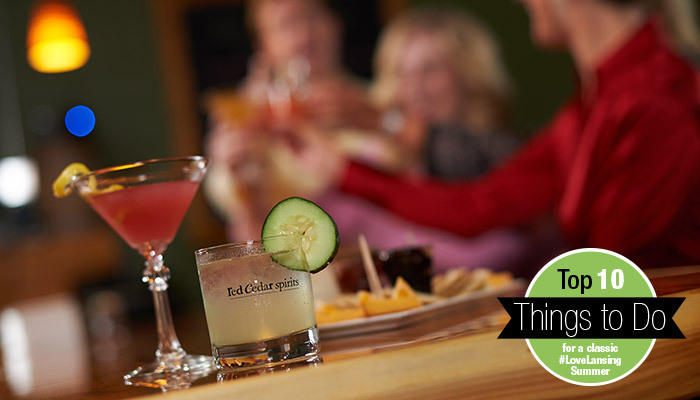 While the Makers & Shakers Trail is technically a new addition to the Greater Lansing scene, taste-testing locally made wines, brews, and liquors is a classic interest of many. Take some time this summer to visit some, or all, of Greater Lansing&apos;s breweries, wineries, and distilleries. Is there anything more classic than watching a Lansing Lugnuts baseball game on a summer night? We didn&apos;t think so. Every game is one of the most exciting events of the summer. View their schedule here. 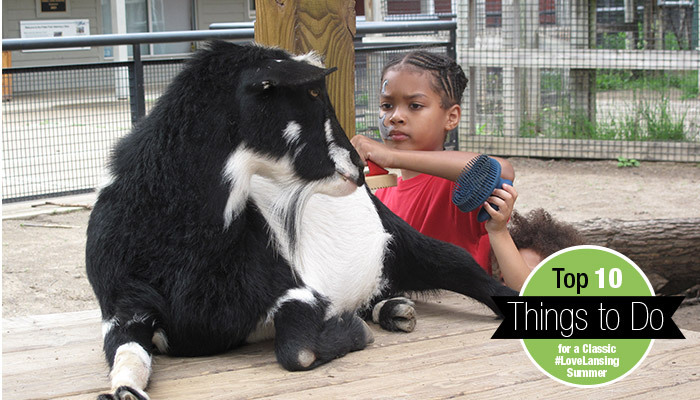 If you haven&apos;t been to the zoo in a while, summer is the perfect time to get reacquainted. Especially since Potter Park Zoo has acquired a few new additions to their family. Summer won&apos;t be here forever, so you better get in a visit to the gardens while you still can! The 4-H Children&apos;s Garden has over 55 themes like the Pizza Garden, Peter Rabbit Herb Garden, and the ABC Garden, and it is a great place to go to take in the beauty of nature. Looking for even more things to do this summer? Check out our full list of events.